Charlotte, NC, June 14, 2018 –(PR.com)– Syntelli Solutions Inc., a premier analytics and big data solutions provider located in Charlotte, is proud to announce and welcome Javier Guillen as their Director of Data Engineering. In this role, Javier’s focus will be on driving excellence in delivering data engineering, data governance and related solutions. 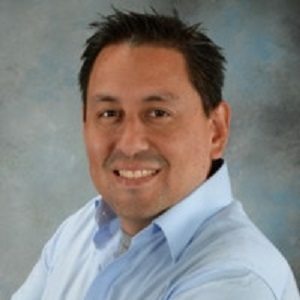 Javier comes with a wealth of experience comprising over 18 years in technology, with 10 of those in business intelligence, analytics and data strategy consulting. He spent majority of his career within the tech industry in senior-level business architect positions at companies such as North Highland, BlueGranite, Mariner and AVM III. During Javier’s previous roles in Data Engineering and Architecture, he designed solutions in data integration, semantic layer strategy and enterprise reporting for organizations across a broad set of industries. He also served as team lead and internal coach, helping to estimate, allocate and size delivery efforts. Javier is an adjunct professor for the City University of New York (CUNY) data and analytics program, as well as a board advisor for the Computer Technical Institute at Central Piedmont Community College. He also co-founded the Charlotte Business Intelligence User Group, a non-profit dedicated to promoting technology in the local community. Syntelli’s strong data science background coupled with Javier’s expertise in defining proper architectural patterns for pre and post-implementation of predictive models, will serve as a foundation for client success.